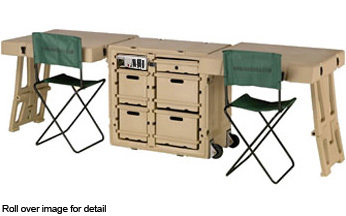 Pre-defined and customer defined configurations are available allowing you to just order one part number and get a complete, out-of-the-box Tactical Office with all of the features needed for your application. Remote medical clinics, trauma wards, triage centers, or emergency rooms are often needed in remote locations at a moments notice. ETI’s Tactical Medical Office provides from one to hundreds of individuals with work spaces, computing features and quality power options regardless of your location. 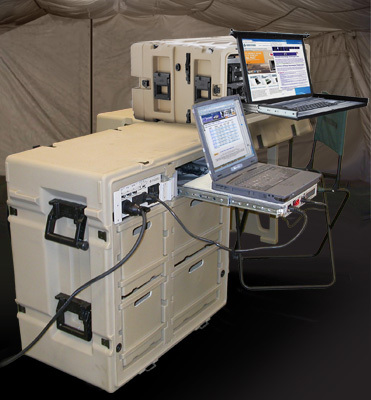 Tactical Medical Office is a deployable office system that includes a Tactical Desk and a variety of other accessories and power connection/regulation options. Tactical Desk: The core of the tactical office; a durable storage container that unfolds into a desk with chairs, drawers and power options. 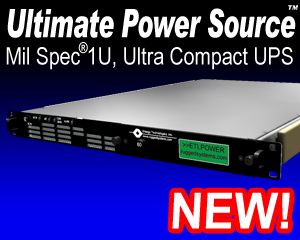 TacticalPower® Global AC Power Conditioner: Regulate low quality local power grids for your laptop or other office equipment. 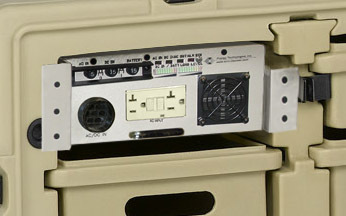 Tactical Field Office Accessories: Shelves, office supplies, adapter kits and other necessary hardware. At the core of the Tactical Office is the Tactical Desk. These Desks are available with either a single folding work surface or two, providing office facilities for 1-4 people. 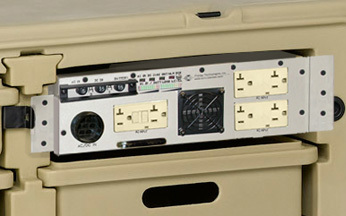 The work surfaces can be attached to either side of the base module providing flexibility in setup. Multiple drawers are available for storing paperwork and office accessories. 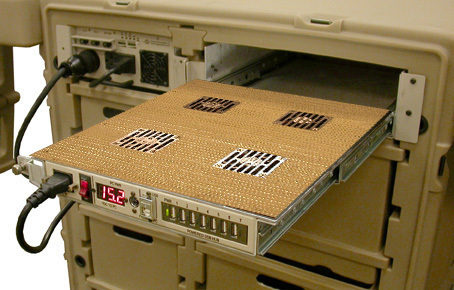 In the shipping mode, the work surfaces become the outer covers to the base module, forming a rugged shipping case. The sturdy folding chairs store inside these covers. Built-in casters aid in moving this case. Once on site, the Tactical Desk quickly and easily unfolds from a durable shipping container into a complete field operational office. One or two sturdy field chairs are included depending on configuration. allows light adjustment. 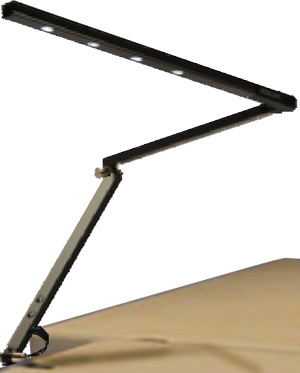 360-degree rotation and Pan/Tilt light fixture feature lets you put the light where it’s needed.